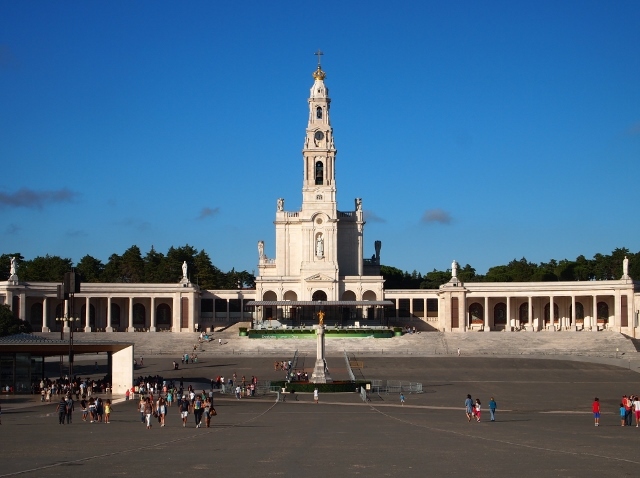 Fatima is renowned for being one of the most religious places in the world. It was founded in 1568 and its name derived from 'Fatma' an Arabic name meaning 'Moorish Princess'. 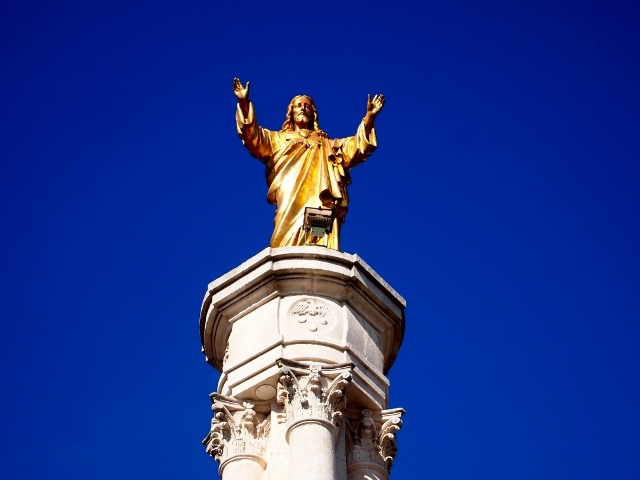 To this day it's also known as 'The Faith of Fatima', 'The City of Peace' and 'The Land of Miracles and Apparitions'. It has approximately 8,000 inhabitants and is the largest village in the area. It is located in the Lisbon Region in Portugal and is 187 kilometres from Porto (north) and 123 kilometres from Lisbon (south). 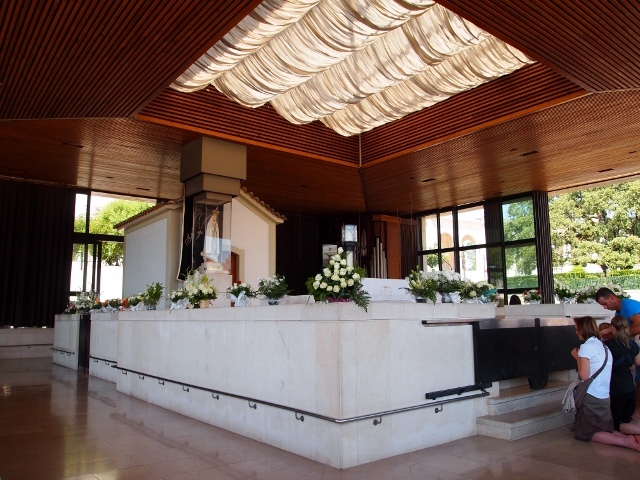 Fatima became world famous because of the 'Our Lady' (Virgin Mary) apparitions in Cova da Iria in 1917 which were only recognised and officially declared 'worthy of belief' by the Catholic Church in later years. It became a city on 4 June 1997 due to its expansion and the construction of the splendid Sanctuary, with its panoramic views (one of the largest in the world today). Our Lady informed the children that she had been sent by God and not to be frightened. She would appear to them at the same time and place on 13th of each month for the next five months. In turn they would have to pray the rosary and perform acts of penance, causing themselves pain and even going without food or drink. The children were to make these sacrifices to save the souls of sinners from going to hell and to bring peace to the world. Lucia was to spread the word about the visions and to make Our Lady be known and loved on earth and to establish devotion to her Immaculate Heart, she promised a miracle and salvation to those who embraced her. Our Lady also informed the children of God's message which consisted of three secrets: 1. A vision of Hell. 2. Foretold the end of World War I and the beginning of World War II and called for the Consecration of Russia to her Immaculate Heart and 3. A Secret - which would be announced later (The secrets were written down by Lucia (1944) and held by the Vatican from 1957). 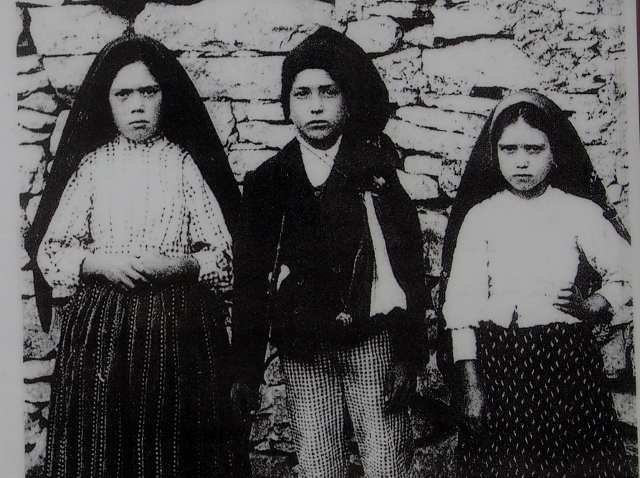 The children's families and locals were sceptical but word soon spread and thousands flocked to Fatima following reports of visions and miracles. Our Lady had predicted that both Francisco and Jacinta would die young and this came to be. Francisco died on 4/4/1919 and Jacinta soon after on 20/2/1920 from the Spanish Flu epidemic. Both were later 'Beatified' (Blessed) by Pope John Paul II on 13 May 2000. Lucia, who was to spread the word, later became a nun and continued to see visions of both Our Lady and Jesus throughout her life. She died on 13/2/05, aged 97.
real or full secret and the secret will most likely remain concealed forever. Others believe the secret was about a vision of the deaths of the Pope and other religious figures but speculation ranges from a Nuclear World War, an Apocalypse to rifts in the Roman Catholic Church. The Vatican has, however, maintained that Lucia confirmed that the secret had been completely released and published. There are so many magnificent places to visit in the area: The houses where the children were born in Aljustrel are unchanged to this day. 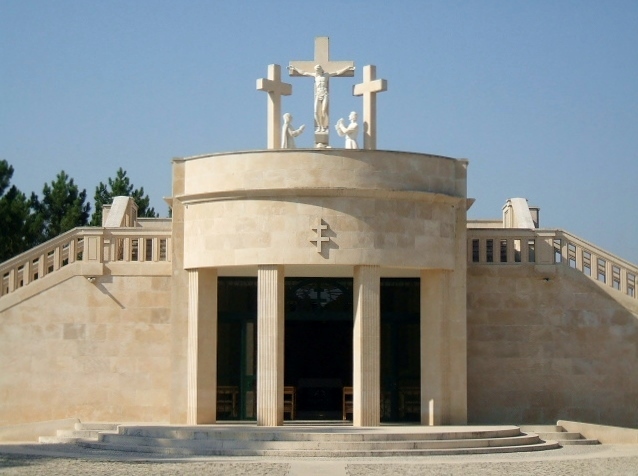 The Hungarian Stations of the Cross consisting of 15 alters which run along the stone walkways (The Way of the Cross) and the location where the Angel first appeared are captivating places too, situated near the children's homes. People from all walks of life and from all over the world visit Fatima. Either seeking the power of prayer to help ease their pain, keep promises or to help them to believe in something phenomenal beyond our world. Why not light a candle whilst you're in the Sanctuary, either in someone's memory or even to wish someone a full recovery or well being. We never miss a trip to Fatima each time we visit Portugal. We feel very at peace in this unique atmosphere. There's just something about Fatima which is mesmerising and extraordinary, especially once the crowds have dispersed. Grutas de Santo Antonio, discovered in 1955 and the Grutas de Alvados in 1964. There is also a National Park in the vicinity and all definitely worth a visit. The story began with three peasant children, Francisco (b.11/6/1908) and Jacinta Marto (b.11/3/1910), brother and sister and Lucia dos Santos (b.22/3/1907), their cousin. In April 1916 (Spring) whilst guarding their sheep in the countryside at Loca do Cabeco, the children were visited by an apparition of an Angel . The Angel (Angel of Peace/Angel of Portugal) invited them in prayer and penitence and was sent to prepare them for their forthcoming meetings with Our Lady. During the Summer, The Angel's second visit took place by the well in Lucia's back garden and his last apparition was in Autumn of that year. 'rays of light, clearer than a crystal glass filled with the most sparkling water, pierced by burning sun rays'. This was the first apparition of the 'Lady dressed in White', holding a white rosary, Our Lady of Fatima/Our Lady of the Rosary (The Virgin Mary). In August, The Mayor of Vila Nova de Ourem, who believed this was a political threat, kidnapped the children to interrogate them. When the children refused to divulge any information, he then jailed and threatened them to death but they still didn't reveal the secrets; he released them soon after. The children missed the 13 August apparition so Our Lady appeared to them on 19 August, 3 kilometres away in Valinhos, near their homes. She promised to make 'all' believe and on 13 October 1917, during a torrential rainstorm, 70,000 pilgrims joined the children for this apparition. Many witnessed the sky opening up and a silver sun encircled by purple light came shining through, others saw multi-coloured lights. The majority agreed that a major miracle had occured and testified that the sun had made incredible movements, spinning and hurtling towards the earth. The sun, to them, looked like it was dancing, it was the 'Sun's Dance', the 'Miracle of the Sun'. Many feared the Last Judgement was upon them. Only the children saw visions of the Holy Family. 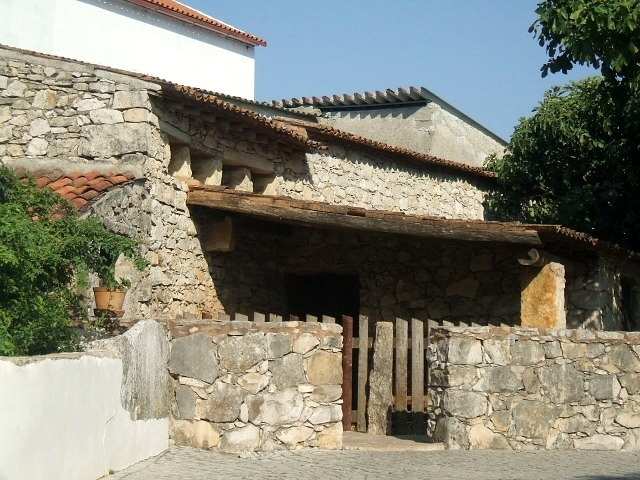 To mark the location of the 'Our Lady' apparitions, a small chapel (The Capelinha) was built in Cova da Iria in 1919 by the local people and from donations made by pilgrims. It was destroyed in 1922 but rebuilt that year. and is the 4th largest Catholic church in the world. 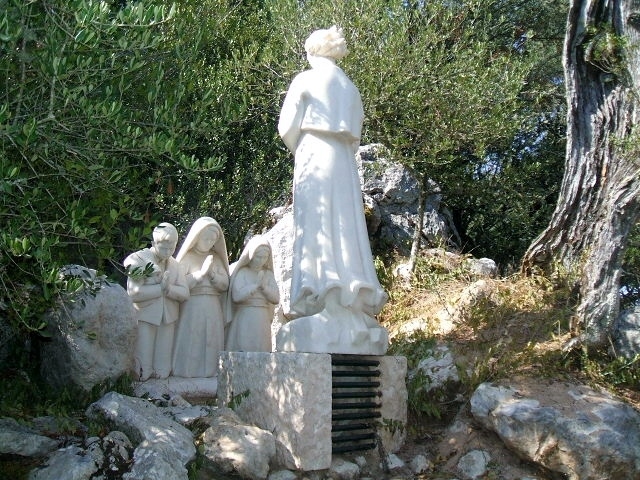 Until 1917 Fatima remained unknown and its main industries were agriculture and shepherding. Today it relies on its Religous Tourism with many shops, stalls, restaurants and hotels. The region also benefits from marble sculpting, saw milling, carpentry, construction, commerce and its olive oil industries. there's just so much to see, you'll need time to take it all in. There's also a wax museum detailing the Fatima story and even a piece of the Berlin Wall encased in glass at the top entrance to the Sanctuary. It represents the fall of Communism which was predicted by Our Lady.